If you are in need of a video inspection for you Modesto residential or commercial plumbing, you have come to the right place. Since 1995, Knights Plumbing & Drain has been the name to trust for all of your professional Modesto plumber services. This type of inspection is essential for making repairs without the need to dig in order to get the answer. For your sewer inspections and drain inspections, let us be the name that you call on for visual inspections without the need to dig up your plumbing and tear up your property. Too many home or business owners take the risk of not getting a possible problem addressed because they don’t know what’s wrong. Or, they go through the hassle and expense of excavating, before they can even determine if they need to. This type of inspection makes it possible to discover what the problem is and where it may be located. From clogs to leaks, we can record the visual imagery in order to decide how to move forward. 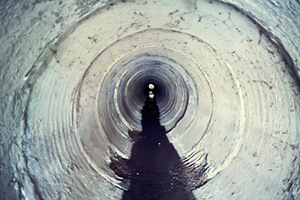 There are so many things that can go wrong with your pipes and plumbing and it can all happen in places you can’t see. Once we determine what the actual problem is, then we can help take care of resolving that problem for you. This cutting edge video inspection technology can offer a world of possibilities that other approaches simply can’t take care of. Let us take care of the inspection and the repairs for you, as soon as possible. The recorded video doesn’t just help us with the follow up work we need to completed; it can help you. Many homeowners must use this documentation for insurance purposes, for their landlord or for other reasons that may means showing a third party and having proof of the issue at hand. Our state of the art cameras enable us to be the most modern pros around. Now, let us take care of this service for you and ensure that you get the best repairs to follow. To find out more about this process, give us a call today. With a 100% Satisfaction Guarantee, you can be sure you are getting the best. Don’t just take our word for it; ask around or let us show you what we can do for you. For your Modesto video inspection, give the Knights Plumbing & Drain pros a call. With over 20 years of hands on, industry experience we know what it takes to get the job done. Call now to get started and take care of your home or business. If you are looking for an expert Modesto Plumber for Video Inspections then please call the professionals at Knights Plumbing and Drain or complete our online request form.